One year after Hurricane Sandy struck the New York-New Jersey area, recovery around New York City has been uneven. While some neighborhoods quickly returned to normal, others continue to struggle. The Midland Beach section of Staten Island was hit particularly hard, suffering extensive destruction of property and nearly half of the twenty-four deaths attributed to the storm in NYC. I visited the neighborhood on the one-year anniversary of Sandy and spoke with a family that’s still trying to rebuild. In August 2013, Judge Shira Scheindlin of Federal District Court in New York ruled that the NYPD’s stop-and-frisk policy was unconstitutional, targeting black and Latino men in a racially discriminatory manner. City officials including Mayor Bloomberg and Police Commissioner Ray Kelly immediately criticized the decision, saying that it would lead to an increase in crime, and filed notice of appeal. I spoke with Chauniqua Young, an attorney at the Center for Constitutional Rights (CCR) who worked on the case, about what the ruling means for racial justice and what to expect from the appeals process. 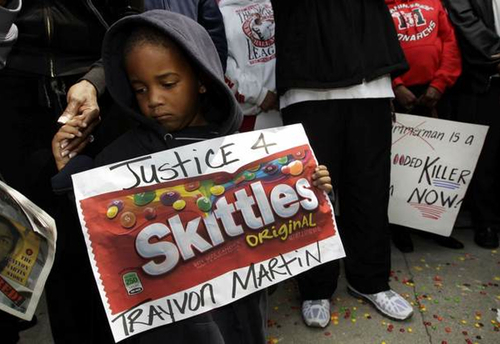 George Zimmerman’s acquittal in the killing of Trayvon Martin sparked protests around the country over the weekend and ignited a national conversation about race and justice. Recent events, from the Supreme Court’s gutting of the Voting Rights Act to the public response to the Asiana Airlines crash, reveal the ways in which race continues to shape the lives of people of color on both personal and institutional levels. Sometimes we’re the objects of ridicule; at other times we’re feared. As we have seen, this convergence of perception and history can lead to tragic consequences. Scot Nakagawa, who writes the RaceFiles blog at the website ChangeLab, joined me to analyze race in the news and what it reveals about power and the possibilities for social change. The collapse on April 24, 2013 of Rana Plaza, an eight-story garment factory outside Dhaka, Bangladesh, left over 1,100 dead with scores more injured. The tragedy, the deadliest in the history of the garment industry, has renewed calls for international fair labor standards for garment workers and highlighted the lack of government oversight over factories in Bangladesh. With co-host Mijoung Chang, I spoke with Nusrat Chowdhury, assistant professor of anthropology at Amherst College, about the relationship between corruption and development in Bangladesh and the broader context of activism and state politics.